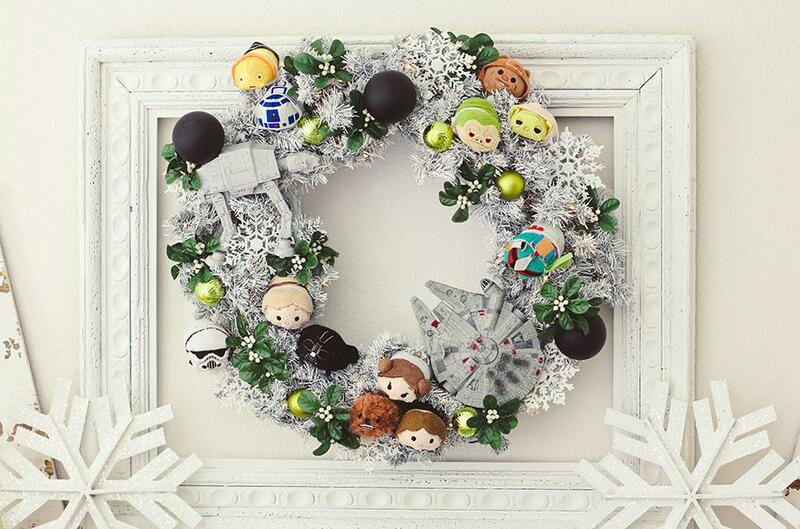 Greet holiday visitors with door decor from another galaxy with a custom Star Wars wreath. 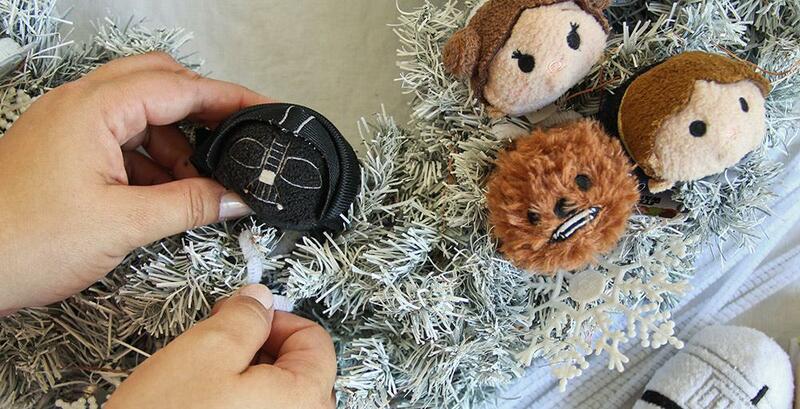 Prep your wreath. 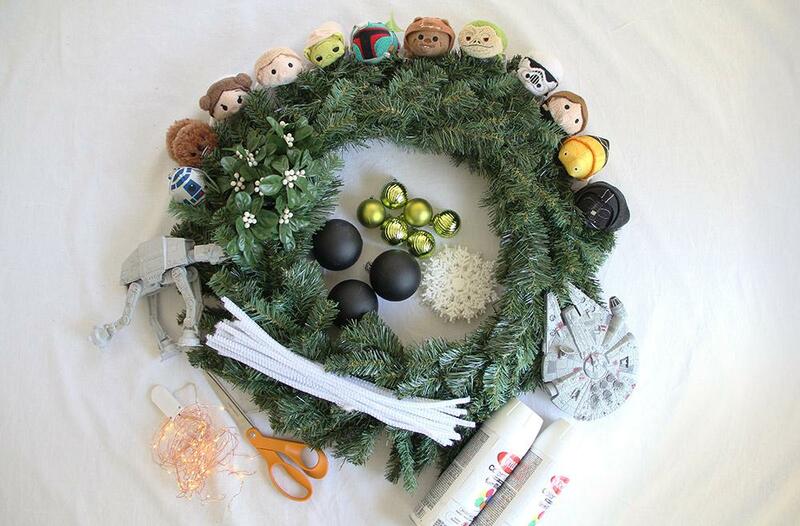 If you are using a white-colored wreath, you’re ready to move to Step 2! If you are starting with a green one, you can simply create that color change with spray paint! 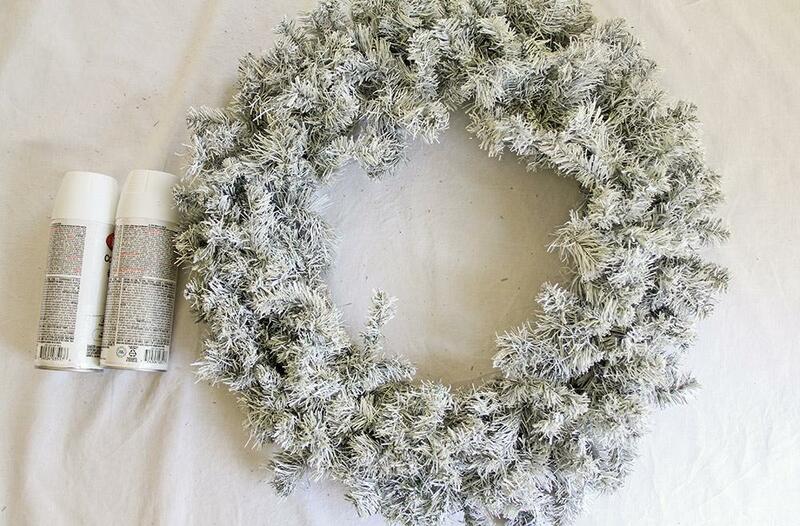 Spray 2-3 coats of white or gray paint on your wreath allowing dry time between each coat. String fairy lights through the wreath while concealing the battery pack on the back side. 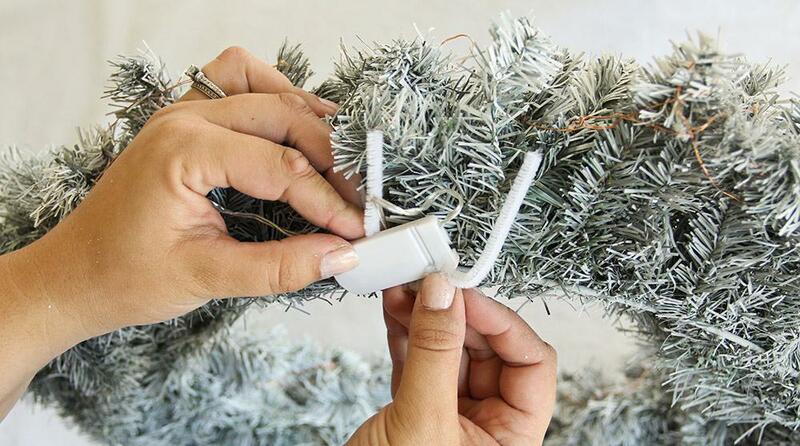 Secure the lights and battery pack to the wreath with white pipe cleaner. Trim excess pipe cleaner. Attach die cast vehicles by wrapping with pipe cleaners and then securing to the wreath. To hide any visible pipe cleaner, arrange pieces of the wreath to cover it. Layer in snowflakes. Place Mini Tsum Tsum around the vehicles in groupings of two to three. 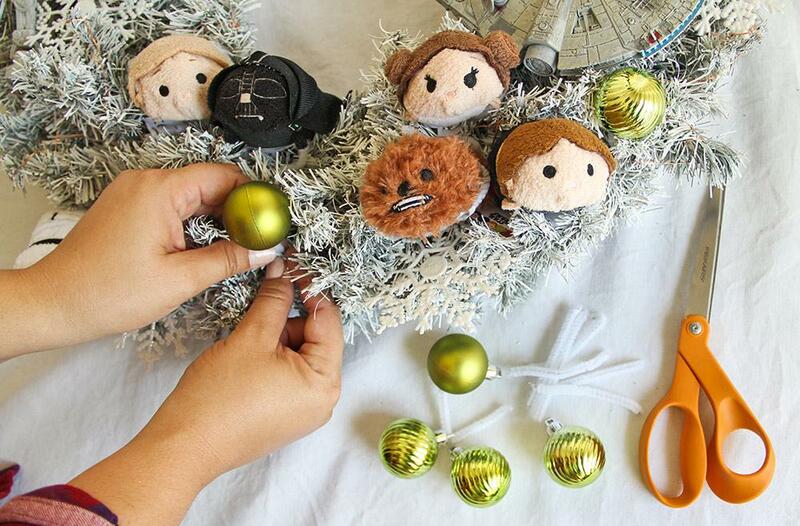 Wrap the back side of the Tsum with a pipe cleaner, then twist the ends around the wreath. Add several small ornament balls to serve as planets and asteroids for the ships to race around. Affix with pipe cleaners. Add holiday greenery accents, securing the stems within the wreath. 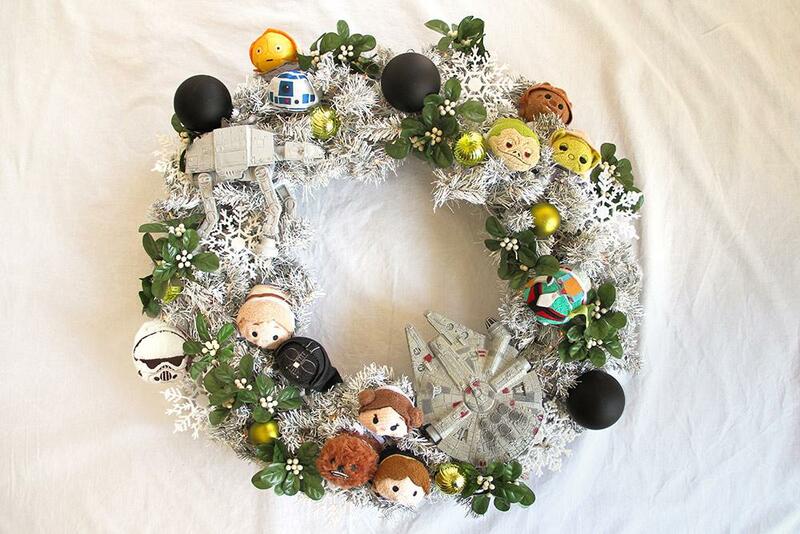 Turn on lights and hang the wreath above your mantel, on your door, or anywhere else the Force leads you. 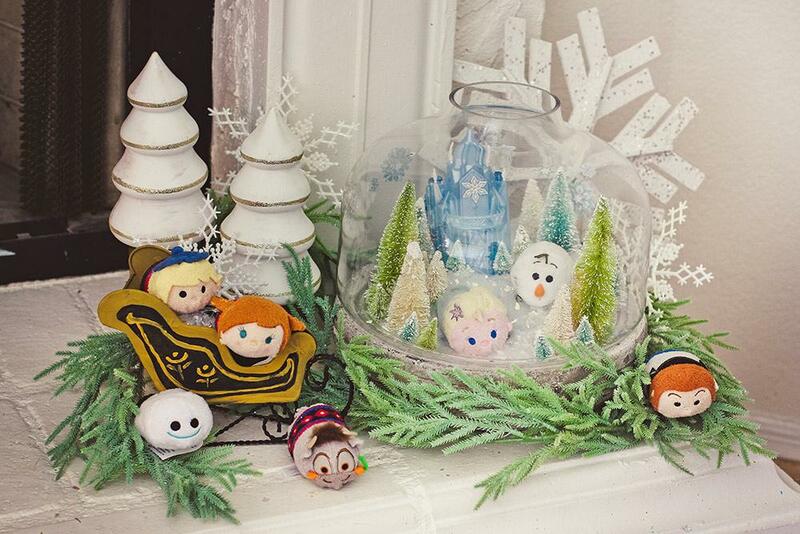 Add a wintry touch to your mantel with this Frozen Tsum Tsum display. Just spread a blanket of artificial snow inside an apothecary jar, drop in a few icy accessories, trees, and Mini Tsum Tsum along with other Frozen trinkets you can find at DisneyStore.com. In no time you’ll have a mantel worth melting for! Sprucing up your spruce (or any Christmas tree!) 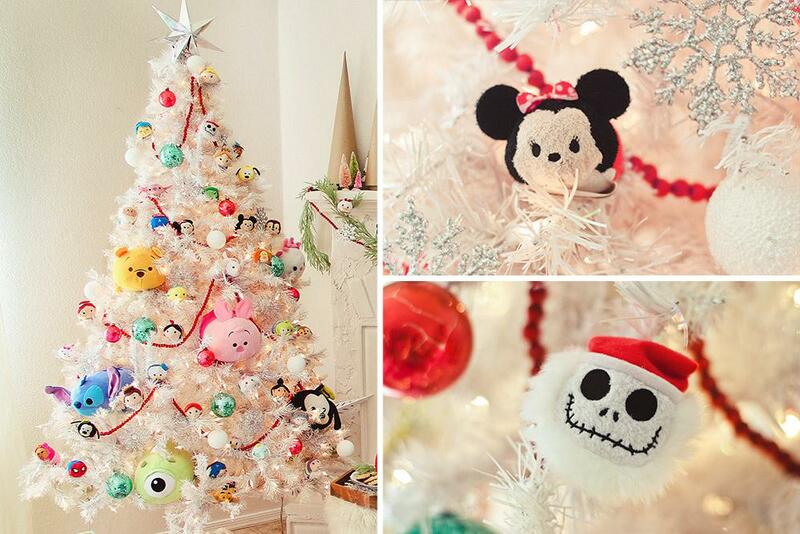 is as easy as draping beaded garland and popping in your favorite Medium Tsum Tsum. 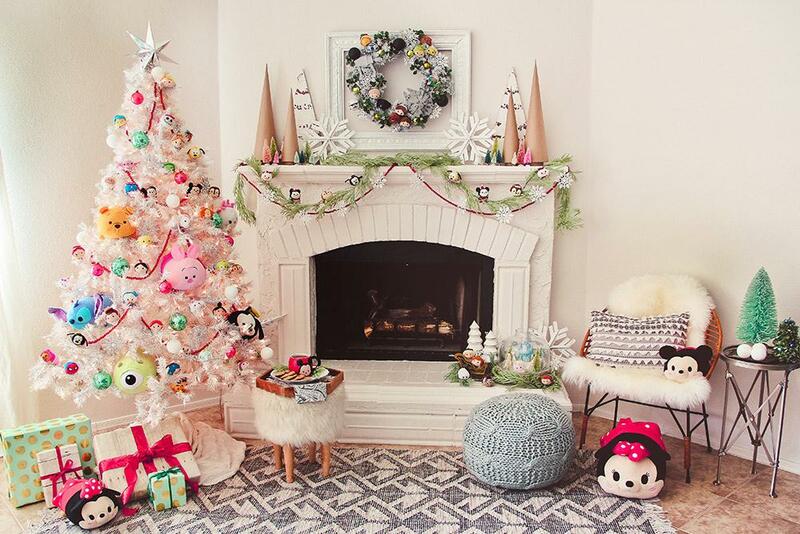 Use pipe cleaners to fasten small accent Mini Tsum Tsum along with traditional snowflake and ball ornaments. You’ll find countless friendly Tsum Tsum at Disney Store along with Frozen memorabilia and die cast vehicles like the AT-AT and Millennium Falcon. Cardmembers receive 10% off every day on select purchases of $50 or more at Disney Store and DisneyStore.com.2 If you’re not a Cardmember, click here to discover shopping perks that can help make your season a little bit brighter.